Cross contamination strikes fear into the heart of any gluten-avoider! 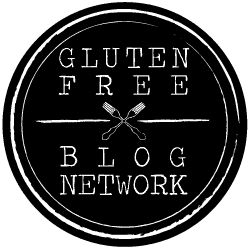 If you’ve not heard of it before, it’s the process by which harmful gluten proteins can be accidentally transferred to a gluten free meal. And that can have terrible consequences for those suffering from coeliac disease or gluten intolerance. Cross contamination can occur as the result of a whole range of minor slip-ups in the kitchen, many of which those without a dietary requirement wouldn’t think twice about. For example, a person with coeliac disease might become unwell if someone prepared a sandwich for them and used the same butter for both gluten-free and regular bread. Similarly, if both breads were on the same chopping board, this could cause problems for a coeliac. Those preparing food even need to watch out for appliances such as toasters, as the gluten free and regular bread going into the same toaster would spell cross-contamination. To ensure you are not the victim of cross contamination, take care when eating out and always make the restaurant team aware of your dietary requirements. Speak to your server at length about the consequences of being glutened and don’t eat anything unless you’re 100% confident that your instructions have been taken on board, and understood. Make sure, when you are dining at a restaurant, that the chefs have a specific area of the kitchen used to prepare gluten-free food, and that all utensils, pans and kitchen apparatus are thoroughly cleaned before use. Also mention that gluten-free food cannot be fried in the same fryer as regular food, as this would also cause cross-contamination and could make a person with coeliac disease very unwell. If you’re eating in a cafe or coffee shop, you will often find there are gluten free options on offer, such as brownies or gluten free sandwiches. However, if you see that these are in the same cabinet as regular food, and they’re not wrapped, you’ll definitely want to avoid these. To be safe, we recommend only eating gluten free food which is stored far away from any other food, unless it is packaged in a wrapper to keep it safe. It’s not just dining at restaurants you’ll need to be careful of, either. The same precautions must be taken if you’re dining at a friends house. You’ll want to make sure that your friend is completely aware of the lengths they’ll need to go to to ensure your meal is gluten free. Make sure that they know that this includes different kitchen utensils, different cooking apparatus, different chopping boards and so on. If your friend is unsure, direct them to the Coeliac UK website, where you can find plenty of tips on catering for those with gluten intolerance and coeliac disease. Cross contamination is a very real problem for those who must avoid gluten, but as long as the communication is clear and the person preparing your food is aware of the lengths which they must go to to ensure a meal is completely gluten free, you should not run into any problems. Don’t let a fear of cross-contamination stop you from enjoying eating out. Just make sure you follow our tips to keep yourself safe.